Time to sell your Evening Tide condo? Read about today's resort-market condo buyer. 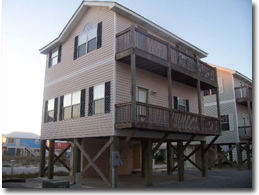 Evening Tide condominiums are located in the West Beach area of Gulf Shores, Alabama. The condos are across the street and within walking distance to public beach access and the Gulf of Mexico. The condos were built in 2004 and consist of only eight individual condo units that are all two-bedroom/three-bathroom units, all of which are approximately 1,350 square feet. The condos have a pool and are close to all of the Gulf Shores area attractions. If you have any further questions, need info or would like to schedule a private viewing for Evening Tide condominiums in Gulf Shores or any other condo or property, please email info@condoinvestment.com or call (251) Area-Pro (251-273-2776) for immediate assistance.